Introducing our Founders series. Highlighting a curated selection of inspiring entrepreneurs on our radar who are making a difference in their own way. 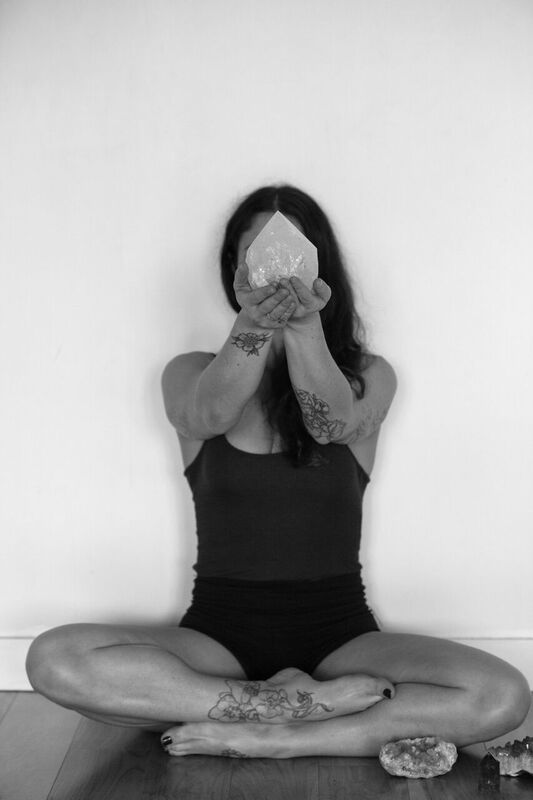 In our very first post, we feature Amber Joliat, the founder of MISFITSTUDIO, a magical and vibrant place that takes an integrated approach to moving the human body. The MISFITMETHOD incorporates pilates, yoga, dance and more, encouraging a physical, mental and spiritual connection and rejuvenation. Describe the moment when you knew you wanted to open up your own studio? I had been working for other people/studios all around Toronto and was sick and tired of not being supported or encouraged. It seemed outrageous to me that wanting to blend disciplines of movement was threatening rather than exciting. So, on a whim, I decided to jump into unknown waters and see if I could survive! What is the MISFIT style in relation to meditation and movement? How is it different from other forms of fitness and self-care? My philosophy is movement is meditation. Connecting to source, connecting to self, connecting in community. This is self-care. Tuning in, calming the heart, slowing the breath, quieting the mind and really being guided by the intuitive. Whether in class, teaching class or walking through life. It is the MISFIT way. Harmoniously blending modalities and philosophies and movement practices into the MISFITMETHOD has been such a pleasure. Borrowing from my favourite elements of dance, pilates and yoga and really creating a new language! It is unique. It is magical. I call it an untangling, as I believe we are all artists and dancers, it’s a matter of removing the blockages and knots that hold you from experiencing freedom of expression, however that lands on you. To become comfortable in your own skin, the ultimate act of self care. Each MISFIT class is unique in that it is never one singular form of exercise. Different styles of Pilates, Yoga, Dance and others are fused together. How did you come up with innovative classes like MISFITMOVEMENT? It’s intuitive. I have been a dancer my entire life. Music feeds me, and movement inspires me. As I took more and more courses and classes, I began to blend them all together. Experimenting, playing, being open to interpretation rather than following what has already been done. Fluidity, strength, grace and the art of presence are the key factors in every class, whether it’s high intensity dance, cardio or slow, soothing and healing stretch classes. I really create everything possible in-between these two points, and my favourite part is witnessing the other teachers create their own classes. The teacher training was an experiment. To see if the inherent thing that lives inside of me, was a transferable skill. 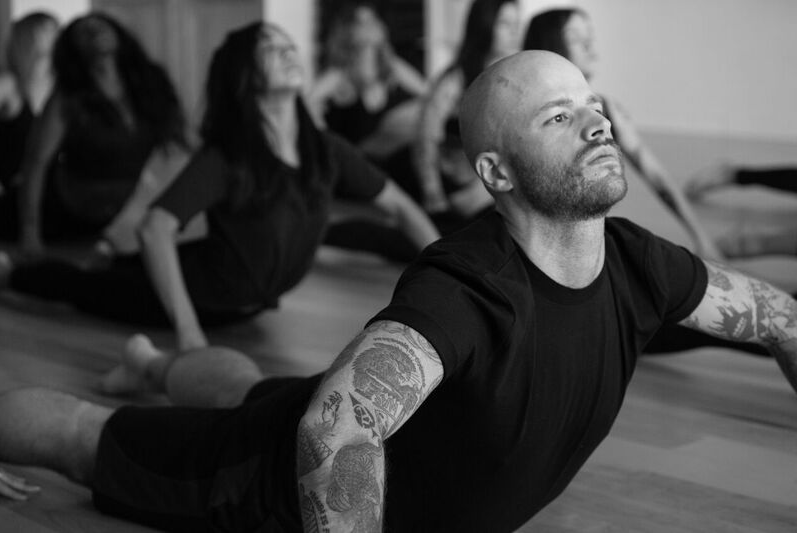 I deeply honour everyone’s uniqueness and I believe that opens the dialogue for class creation, and allows for the teachers to feel held in their own creative process while applying the wisdom of the MISFITMETHOD. How do you find ways to reinvent your skills and ways of practice, while still keeping the core essence of what MISFIT is all about? This is about remaining open. My mind, my heart, my body. Constant evolution is only possible if I remain open. The essence of MISFIT remains the same. To me, MISFIT is about celebrating how things can be done in unique and different ways. Daring to be original and dancing in the possibility of what it is to BE MOVED. To be moved on a physical level, an emotional level, a mental level, a spiritual level and a tribal level. Being moved is what I find the most inspiring. Diving into what STIRS ME UP and THAT is how I can reinvent over and over and over but only if I remain open. How does MISFIT approach the relationship between instructor and student? This to me is very important. Teachers learn everyone’s names. We live in a time of mega choice. Students who CHOOSE to walk through the doors of the studio deserve recognition. We really do our best to know everyone. The role between teacher and student is symbiotic in that we can all learn from each other. Just because the teacher is at the front of the room, doesn’t mean they are better/bigger/more worthy, it’s simply and exchange. A transference of energy. An experience. We work on that a ton at the studio. Collectively. Showing up as our best selves with compassion, empathy and openness for every single other person in the room. What’s next in fitness? How do you see this fitting in with the overall health and beauty industry? Tuning in. It’s time to reconnect to simplicity. Stillness. Breath. Calm Heart. So that we can all be guided by our intuition. No more phones, no more distractions, no more excuses. We need to connect to what matters. We all are being called to do this, universally, it’s time to help heal the world. What advice would you give to a freelance instructor who wants to open their own studio? This is a non-stop baby. Learning, growing, evolving and shifting every single day, all day and all night. Be sure you are ready to commit to that amount of love, time and effort, and FIND YOUR VOICE. Be original. Follow your Passion. Be You. Don’t rip off other people. What crystal is your ultimate talisman? Clear Quartz – Strength and clarity to the intellect, aiding concentration and memory retention, filters out distractions. Honey Calcite – A stone of joy, that amplifies energy. Assists in the challenges associated with change and breaking patterns.